The Center for Disease Control has issued a recall for all romaine lettuce due to possible E. coli bacteria contamination. As they have not yet determined where the contamination originated, they are warning consumers to not eat or buy any romaine lettuce or salad mixes containing romaine. They are also telling consumers to not only throw out any romaine lettuce or salad mixes containing romaine, but to thoroughly clean any surfaces the potentially contaminated greens were stored. Even if you or some one in your home has eaten the already purchased romaine lettuce and not gotten sick, it should still be tossed – and if you are unsure of whether or not your lettuce is romaine or if your salad mix contains romaine, consumers should not eat it and throw it away. No deaths have been reported, but at least 32 people in 11 states have become sick with 13 of those being hospitalized and one report of a form of kidney failure. This outbreak appears to not be limited to the U.S. The Public Health Agency of Canada reported that 18 people in Ontario and Quebec have been infected with the same strain of E. coli. Pirl urges all consumers to err on the side of caution and follow the CDC’s instructions to keep themselves and their families safe and healthy this holiday season. 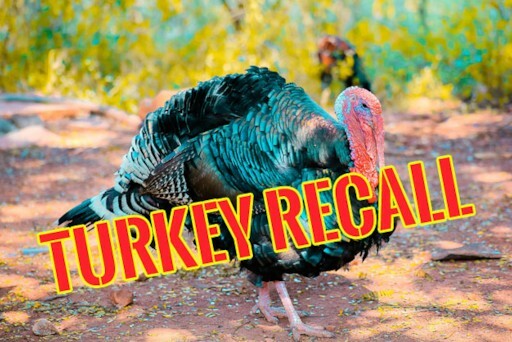 Ground turkey products are being recalled due to risk of salmonella contamination! How would you feel if your high priced turkey wasn’t actually as advertised? Take our quick survey to let us know! Whole Foods Recalls Baby Spinach!